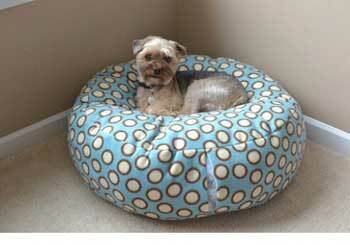 It's too easy to sew a dog bed to not make one yourself. And your dog or cat will thank you. 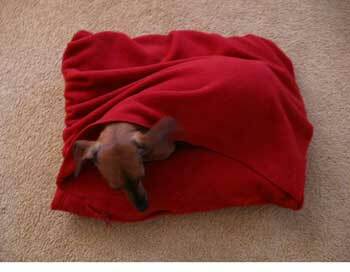 Keep pets warm and cozy in their own sleeping bag made using heavy duty fleece fabric and this simple pattern. 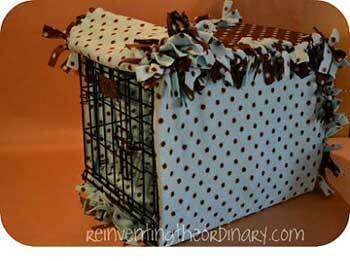 Use this dog bed plan and give your pet his or her own little hide-away by attaching decorative and soft fleece fabric to a crate. 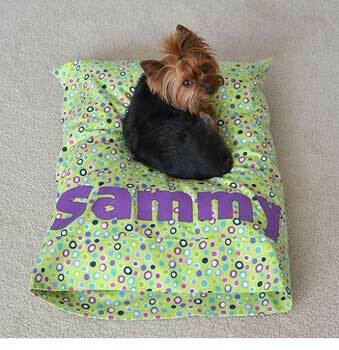 This simple dog bed pattern takes a bed pillow covered by a homemade fleece pillow case then iron on your pets name and you're done. 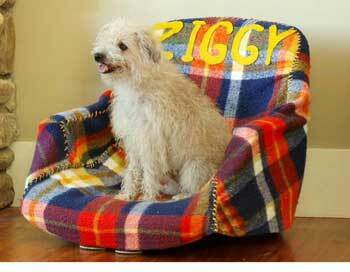 Create a unique bed for your family pet using an old office chair covered with a soft blanket that is sewn to fit the chair. 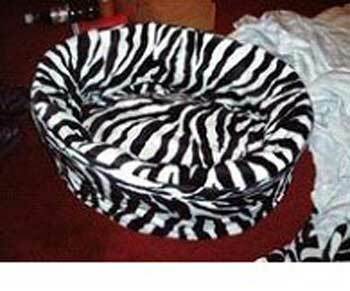 This bed is made from card board, duct tape, pillow stuffing and soft zebra print fabric for a lovely bed your kitty cat will love. 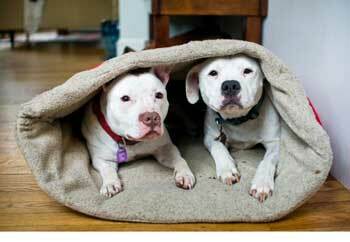 Recycle fabric found around the home and sew together according to these step by step instructions for the perfect pet bed. 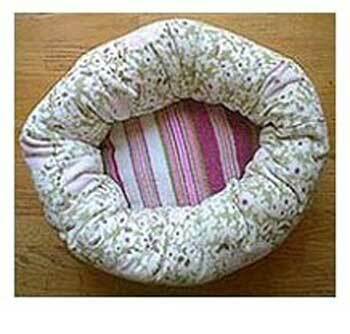 Here is a pet bed that is made using bath towels, it is washable, light weight and can be rolled up and packed away for travel. 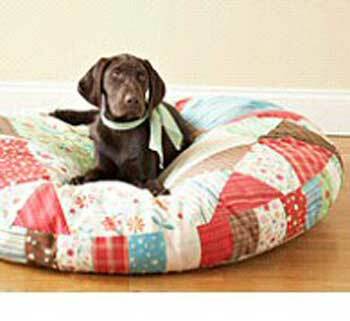 Make a soft and comfy quilted pet bed using this easy to follow quilting pattern designed in the round. 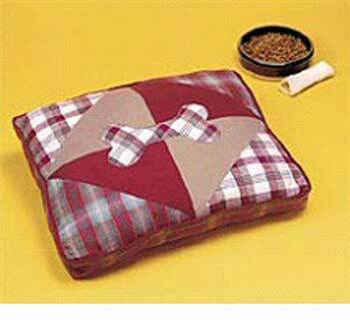 Here is a simple step by step pattern for an adorable dog bed made from solid and plaid flannel fabric with a dog-bone in the center. 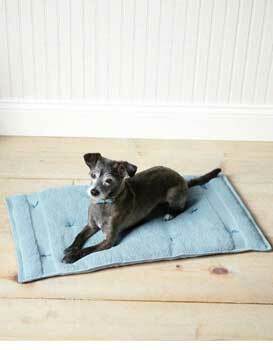 This dog bed plan will show you how to take a man's fleece jacket and turn it into a snuggly bed for your pet to enjoy. 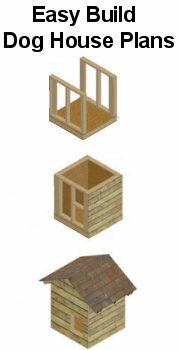 Your pet will love this super soft fleece bed that can be easily made using this step by step pattern with illustrative pictures.